JACKSONVILLE, Fla.--(BUSINESS WIRE)--Jan. 24, 2019-- KB Home (NYSE: KBH) today announced that the home builder will be offering its KB Smart Home System as an included feature at two North Florida communities: Treaty Oaks in St. Augustine and Bartram Creek in Jacksonville. The KB Smart Home System, which leverages the power of Google Assistant™ to integrate a curated selection of voice- and smartphone-controlled features, will also be available as an option for all buyers who purchase a new KB home at any of the builder’s other communities in Jacksonville. 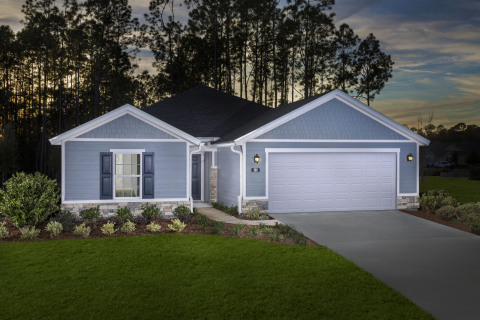 For those in the market for a new home in North Florida, the home builder will be demonstrating the convenience and functionality of the KB Smart Home System at its Treaty Oaks model home complex in St. Augustine.